If ever there was a person who proved that living with a disability does not mean that you have to miss out on anything it is Dean Dunbar. Dean aged 43 has been bitten by the extreme sports bug and since he got the bug has performed over 30 death dodging feats of bravery and endurance. The extreme sports bug struck in 1998, when he was participating in a charity tandem sky dive and now nothing can stop this adventure hungry Scotsman. Dean has described the experience and thrill he gets from extreme sports as being better than any other kind of high, and he is constantly on the search for bigger and better challenges with which he can test himself. He is the first one to admit that he is a total adrenalin junkie. From the moment that his feet came back into contact with the ground after that first charity sky dive, he was smitten with the thrill of pushing his body to the limit. Since then his feet have hardly been on the ground, rock climbing, white water rafting and even being sent skywards from a human catapult have not deterred him from finding his next adrenalin buzz. All of Dean’s adventures are detailed on his website, including the current status of the world records he has under his belt. 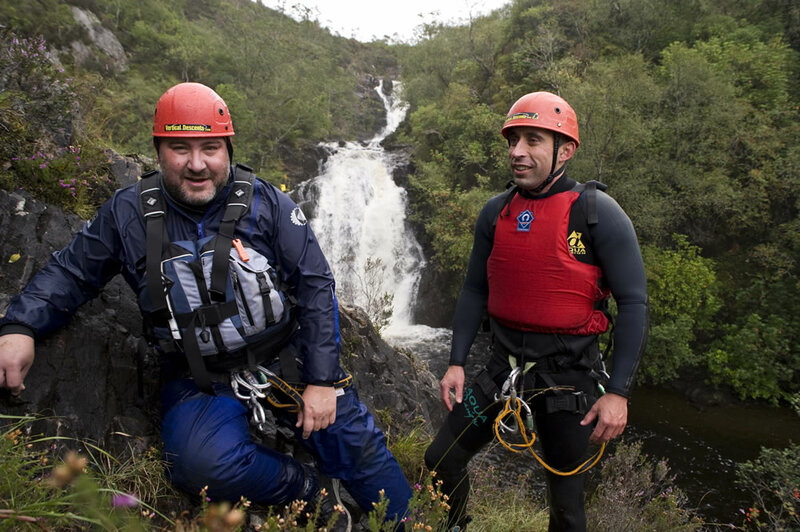 He is recorded as being the very first blind individual to perform a bungee jump out of a helicopter, as well as the first blind person to participate in the gruelling Hebridean Challenge and the first blind person ever to white water sledge his way along the River Tay. 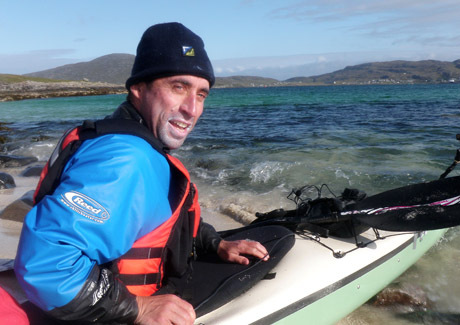 At the moment Dean is currently training for a cross channel swim, he is aiming to raise funds for the Soldiers, Sailors, Airmen and Families Association as well as for the Perth & Kinross Society for the Blind. Dean first started having vision problems as a child and investigations showed that he was suffering from rod and cone dystrophy, with the prognosis showing eventual blindness in his future. He admits that he could have let the loss of his sight turn him into a home bound recluse, but he was determined not to let that happen. Because of the risk involved in some of the extreme sports activities that he enjoys, when event organisers have found out about his disability they have not allowed his participation, but despite these minor setbacks he has enjoyed activities like sand boarding and canyoning. There looks to be nothing that Dean won’t try his hand at. He spends a lot of time in his home gym in order to keep himself in peak physical shape and while there have been injuries and accidents along the way Dean sees them as being par for the course when you throw yourself around in extreme situations. He is well aware of the risks he takes in all of the sports that he tries and claims that he regrets nothing in his quest for the next adrenalin buzz. He is a true inspiration for extreme sports fans around the world! This entry was posted in Air Sports, Bungee Jumping, Land Sports, News, Rock Climbing, Sky Diving, Water Sports, White Water and tagged Blind Daredevil, Extreme Sports. Bookmark the permalink.